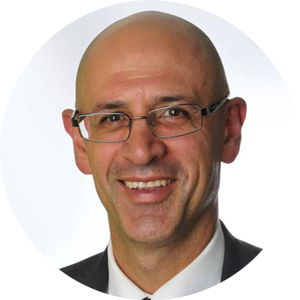 Robert M. Haddad is one of the most renowned Catholic speakers in Australia and currently serves as the head of New Evangelization for the Catholic Education Office in Sydney. Also a teacher, writer, and apologist, he has created countless resources to help people understand and defend the faith. Haddad has written more than half a dozen books, including the 2-volume Lord of History series, The Family and Human Life, and 1,001 Reasons Why It’s Great to Be Catholic. His most famous work, Defend the Faith, is used internationally as a reference for explaining Catholic beliefs.